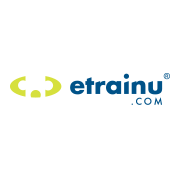 etrainu operates on ADSL and 3G and above wireless connection. Like any web based experience load times may vary dependent on your internet speed. Some etrainu courses include Adobe Flash and for these you will need the latest version of Adobe Flash installed. The latest version of Adobe Flash player can be downloaded free from http://get.adobe.com/flashplayer/ . Online training works best in certain internet browsers and certain versions. Note: If you are using Windows XP Operating System and Internet Explorer you will only be able to install up to version 7.0 of Internet Explorer. If you have any issues with your courses please ensure you have cookies and flash enabled.